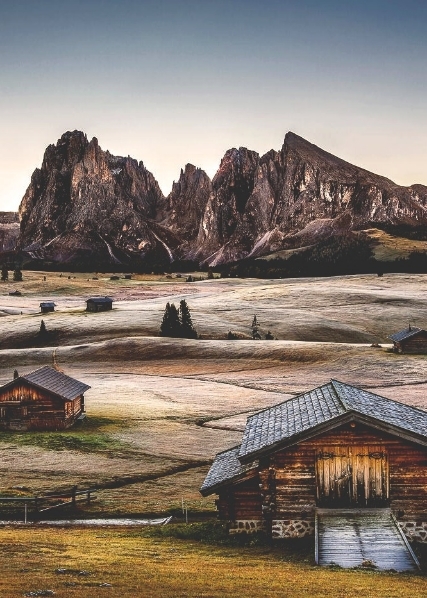 Seiser Alm, the largest high altitude Alpine Meadow in Europe, should make any outdoor enthusiasts travel list. Sitting nested in the Dolomites mountain range in Italy's South Tyrol province, this area offers quite surreal landscapes, lush meadows and jaw-dropping scenery - not to mention it is a hiker and skiers paradise. The bizarre scenery of the Dolomites comes from days long passed, when the mountain range was actually a huge coral reef. The meadow transforms year round - from flowering pastures to sparkling white snow fields - Experience sheer nature and raw, untouched beauty.